Poor women in thousands of towns and villages of developing countries are routinely cheated out of basic benefits to which they are entitled under government programs – not because of too few resources, too little motivation, or too much pride – but because of corruption. Keshari Paharia, Haramani Majhi, Sapura Majhi, Bhuje Chinda are the desperate housewives of Khariar local Block (local government unit) in the Indian state of Odisha. They, like hundreds of thousands of extremely poor women across India are exploited and extorted. Each day is a battle for survival. The government of India has programs to ensure that women like these receive basic health and other benefits free of charge, yet often they do not know their rights and often they are the victims of corrupt public officials. Projects supported by PTF in India in recent years demonstrate that it is possible to hold governmental agencies providing public services accountable to the citizens that they are meant to serve. It is possible to turn on its head the widely prevailing asymmetry of power between officials and citizens that traps the very poor in endless misery. The key is to address the core problems through civil society led projects that mobilize citizen engagement and persist with sophisticated strategies that aim to yield sustainable results (click here to read the full story). 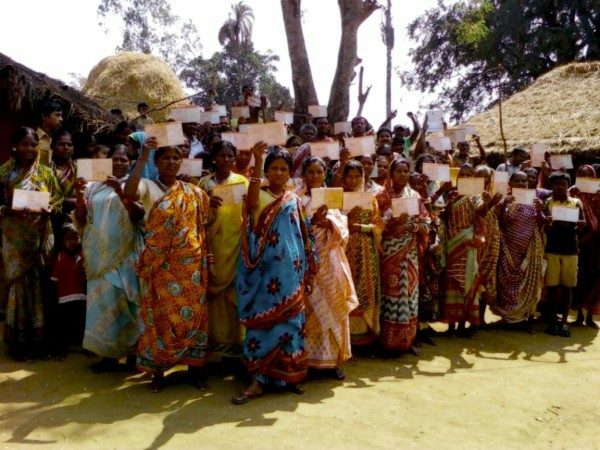 In this story many women in Khariar block, for example, were eligible to receive free maternal and child health care services under the National Rural Health Mission program of the Government of India (click here to read the full story). With the help of a PTF funded CSO (Ayauskam) citizens overcame many obstacles to secure major improvements in service delivery. According to independent evaluations the free medicines under the scheme became available to at least 60 per cent of those in the project area. Free institutional delivery became available to 80 per cent of women, while the overall quality of antenatal and post-natal health services also improved. Ayauskam was vital in helping help citizens’ access and collect information and use it to raise community awareness and motivate them to demand accountability. It helped citizens form collective action groups, trained them and established performance monitoring tools, such as customer feedback surveys. The groups were trained to pursue effective advocacy and public communications. The strength and persistence of collective action groups resulted in the service provider officials acting to resolve grievances and improve citizen/beneficiary satisfaction. Citizen group willingness to participate and constructively engage with service providers made a crucial difference. Periodic sharing of feedback on changes helped provide positive reinforcement to both communities and authorities. Awareness about rights and processes matters but it should be accompanied by actions. Results require citizens to act based on the knowledge. In this story the increased awareness led to citizens forming organizations and volunteering their time to take collective and individual actions. Overcoming push-back from vested interests requires strength in numbers and enlisting help of higher-level authorities and media. As seen in this case the persons benefiting from the corruption tried to retaliate but retreated only when they saw that the groups had strength in numbers and were succeeding in getting the support of public authorities and local media. Third, constructive engagement is a viable strategy for increasing responsiveness of service providers despite the asymmetry of power between the state and citizens. In India the laws governing pro-poor programs make provisions for grievance redress systems and a powerful right to information law exists. These result in a predisposition among the service providers to be responsive. Social intermediaries play an indispensable role in making citizen engagement produce results. In this case Ayauskam was the social activist/intermediary and without them results would not have been possible. Click here to read the full story of the How Desperate Housewives of Khariar Successfully Fought Corruption.